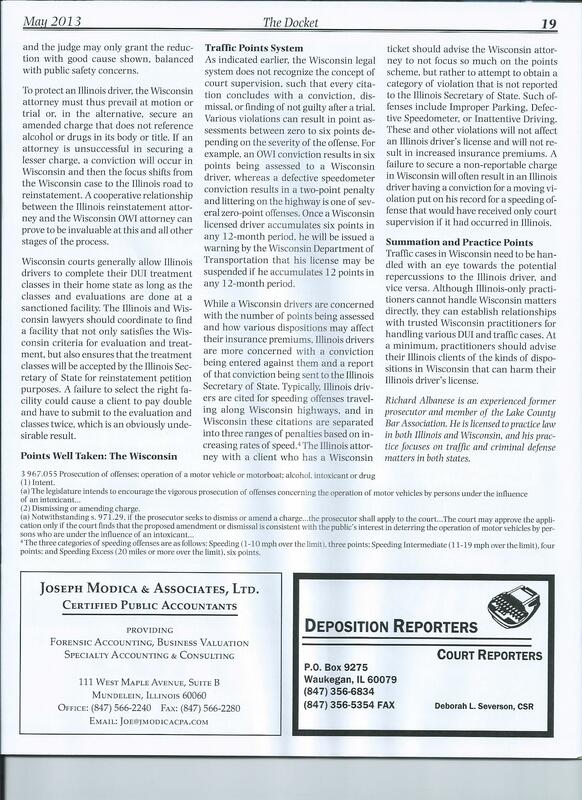 WHAT IS A MISDEMEANOR IN LAKE COUNTY? I will often receive calls from potential clients saying they don’t have a serious case, but think they may need a lawyer. Usually, these cases are misdemeanors and although the person accused of the crime may not think it is serious I can guarantee you that the police, prosecutors and judges in the Lake County court system will take it very serious. Under Illinois Law a misdemeanor is simply a crime whose range of sentence is 1-364 days in jail. That does not mean everyone with a misdemeanor in Lake County goes to jail. Other sentencing options may include court supervision, conditional discharge, or probation. Often times community service or fines may be ordered in place of jail time as well. A misdemeanor offense can be fought in court with motions, and a bench trial or jury trial. The state must prove a defendant guilty beyond a reasonable doubt at trial. 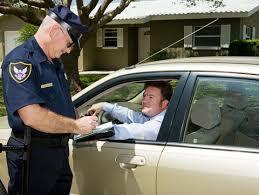 One should keep in mind though that unlike most traffic tickets a misdemeanor carries a potential jail sentence. If a person misses court there will generally be a arrest warrant issued. 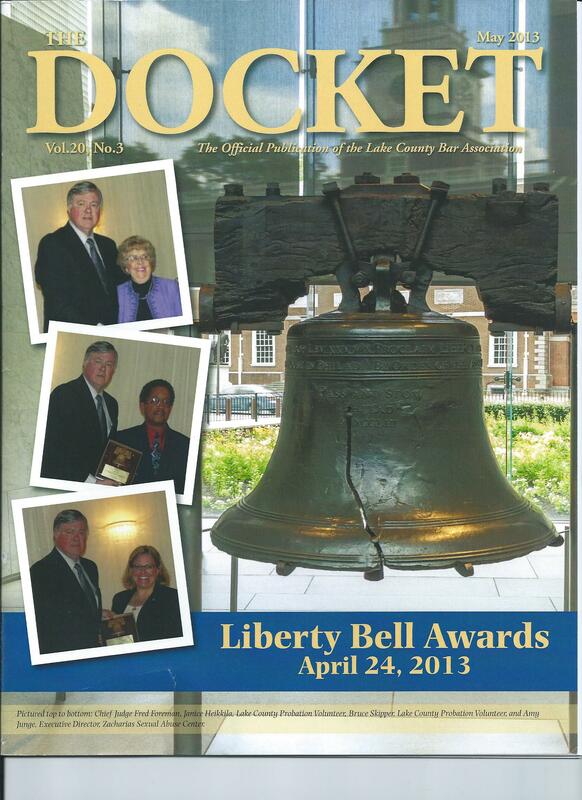 WHAT KIND OF LAWYER DO I NEED TO REPRESENT ME ON A MISDEMEANOR IN LAKE COUNTY? All types of law are becoming increasingly specialized. You do not want your real estate lawyer handling your misdemeanor any more than you want your criminal defense attorney handling your bankruptcy case. You need an attorney with the proper focus and concentration in criminal defense to represent you on your Lake County misdemeanor case. Richard Albanese has seen both sides of thousands of misdemeanor cases as a misdemeanor and felony Prosecutor for well over a decade as well as a criminal defense attorney in Lake County. Richard will provide you with a no nonsense evaluation of your misdemeanor case and explain your options although the final decision on how to handle the case rests with you, the client. Put a former Prosecutor on your side and call the Richard Albanese Law Office today for a free consultation about your misdemeanor case at (312) 882-1973 or visit our office on the Web at http://www.CriminalandTrafficDefenseAttorney.com. Effective January 1, 2013, Illinois law now states that individuals can be arrested and face criminal charges for simply allowing or permitting individuals under the age of 21 to drink alcohol at their residence or on their property – even if the individual did not directly supply or provide the underage person with alcohol. Therefore, students who host social events are expected to monitor their parties and make sure that underage people are not drinking in their residence, room, or property. Face fines of at least $500. The party host contacts the police for help before any other person makes a formal complaint to law enforcement. Thus, parents and others are strongly encouraged to contact the police immediately if they are unable to control guests at their party or if guests refuse to comply with the host’s attempts to prevent underage drinking. Many municipalities have adopted ordinances with language similar to the new Illinois law with the important difference being that ordinances are considered fine only offenses that do not involve the possibility of jail time, but can still mar a person’s criminal record wit ha conviction. WHO IS THIS LAW TARGETING? This new law mainly targets parents who have been hosting parties in their homes or yards providing their underaged children and friends with alcohol. Many parents believe this is a good philosophy because it keeps the drinking under their supervision, but the law views it differently. Often young people leave these parties and get a DUI or cause an alcohol related offense or an incident such as the national story concerning student hazing (See: http://www.cnn.com/2003/LAW/05/12/high.school.hazing/ ) There have been other widely publicized incidents on college campuses across the country where injuries and even deaths have occurred due to the overconsumption of alcohol by underaged. students. If you face one of these tickets as a parent or other person hosting a party contact the Richard Albanese Law office at (312) 882-1973 for a free consultation regarding the potential defenses to your case. Lake County, Illinois is different than other jurisdictions in some ways when it comes to handling speeding and traffic tickets. In Lake County there are three branch courts that handle all minor traffic matters including speeding tickets, suspended licenses, traffic accident tickets and other traffic matters. These branch courts have only one or two courtrooms each, but feature large, ample seating for the often heavy court calls, and free parking is also available at each location. 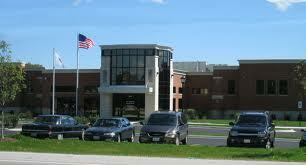 The three branch courts are located in Mundelein, Park City, and Round Lake Beach respectively. Cases are assigned geographically to each of these courts based on where the offense took place. The cases at each location are handled by Assistant State’s Attorney’s from Lake County as well as Village Prosecutors that vary from town to town. A scan of the ticket should show the location, date and time for the first appearance. Lake County courts run all day with several start times at 9:00am, 10:30am, 1:30pm, and 3:00pm. Depending on the day you may spend quite a long time in court if you don’ have an attorney. The cases in which people do have an attorney are handled first as the attorneys often have to make other appearances in other locations and then the rest of the case are called. If you want a continuance to hire an attorney tell the judge that and the request will generally be honored one or twice, until you retain an attorney. It is always the best practice to consult with an attorney right from the start though to avoid unnecessary court appearances. Drivers who may have gone to court before in other counties may have had the experience of getting a case dismissed when they went to court the first time because an officer was not in court to proceed with the case. This is not how things work in Lake County. The first court date after the ticket offers a chance to plea guilty tot he charge but nothing else. The case must be set for trial and the person must return to see if the officer will be present to proceed with the case the next court date. Often a Lawyer may make court appearances on a client’s behalf with proper authorization and the case may be resolved with the client not having to take time off work, school or family. Each court session also begins with a judge generally informing the crowd that the court costs in Lake County can often exceed the fine imposed by 2-3 times. To minimize the financial costs of speeding tickets and other offenses it is often wise to retain an attorney to give you a voice in court. A premature plea of guilty or sending in money to pay a ticket in the mail can often have unseen disastrous results, depending on the offense and priors, such as the loss of driving privileges, increased insurance premiums or other unnecessary increased financial burdens. A lawyer is essential for misdemeanor traffic offenses such as speeding 30 miles or more over the speed limit, passing a school bus or school zone violations, suspended license or accident cases that may have additional consequences of civil liability. The misdemeanor traffic offense will result in a criminal record in addition to the fines and costs but can often be amended or mitigated by the negotiations of a skilled traffic attorney. 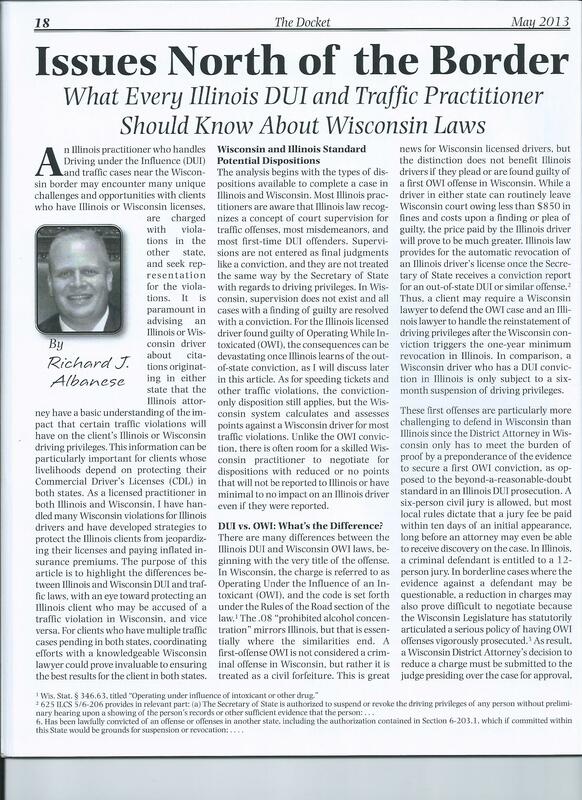 Call the Richard Albanese Law Office today at 312-882-1973 or visit our office on the Web at http://www.criminalandtrafficdefenseattorney.com for a free consultation on your speeding ticket in Lake County or elsewhere.